Woho, nice to see it posted here. Haha this is amazing I love it! Good job fallahn! Woho, congrats to another game release! It's already in my Steam library. I identify as a raven. This also applies to programming. Better than optimum in spring 2! Oh there's actually many level where you can beat the optimum. I have 100% every levels, unlocked Chelsea Champ but Braved The Weather didn't unlock. Hehe, well done! 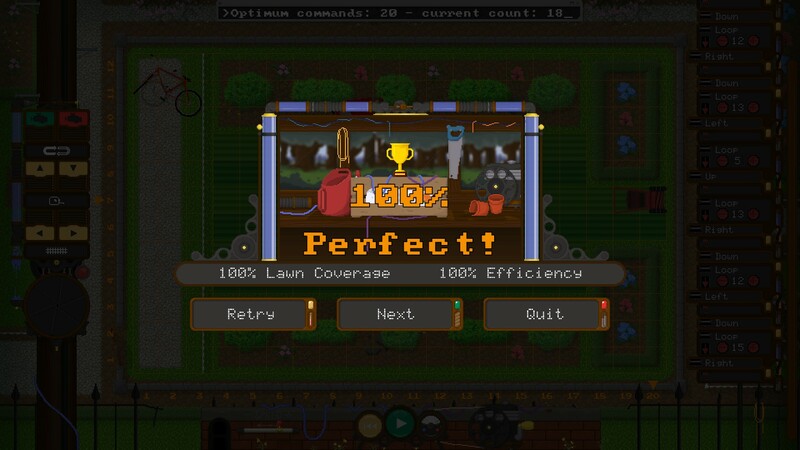 Yes you can get better than optimum on quite a few lawns, which is why there's an achievement for it The Braved the Weather one is a bug however, but I've fixed it so the patch will hopefully be out tomorrow. Thanks for playing! I've clicked on everything everywhere for an hour, but I still haven't found the easter egg, any hint please?